Ciao bellissime! We are exploring the Ticino this week which is the Italian speaking part of Switzerland. It is located on the Alpes' South side therefore the climate is warm and Mediterrenean and also the mentality is closer to the Italian one than anything else. 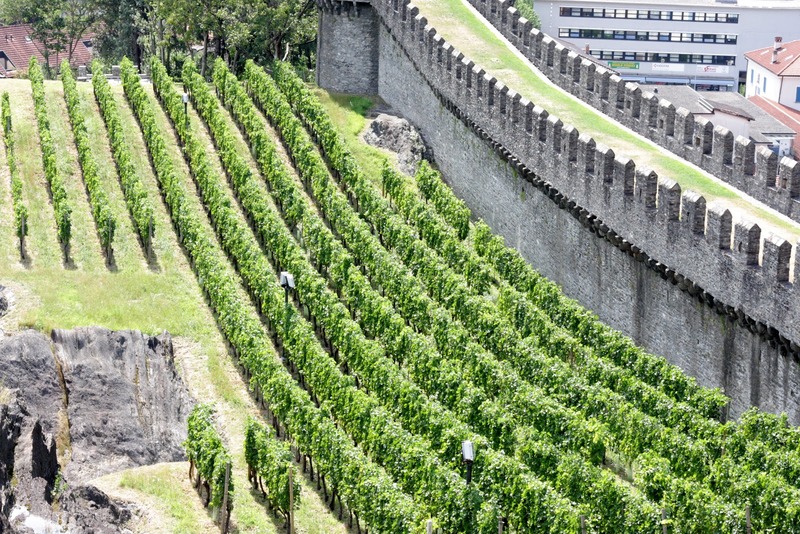 Our first stop right after crossing the Alpes was Bellinzona. 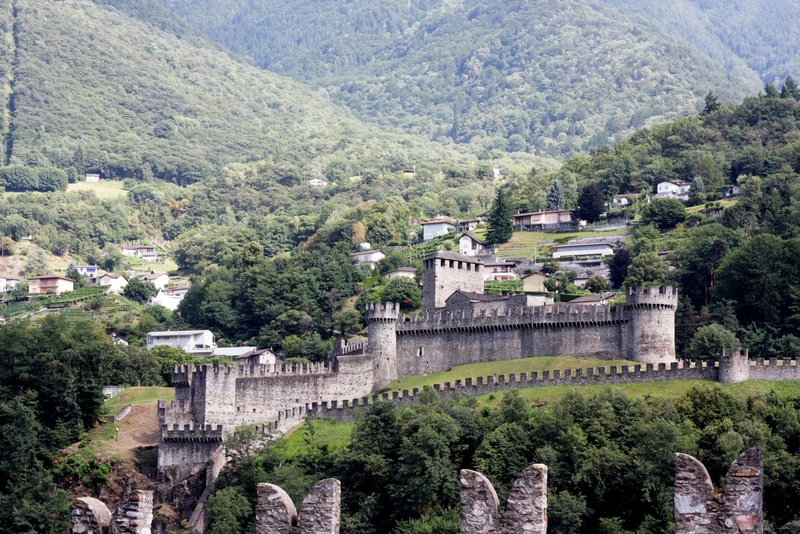 It has several famous castles overlooking the valley that were obviously built to protect the area. Everytime I am in the mountains I realize how different life was and still is for people here. Getting places can be difficult and nature plays a very dominant role. Seeing mountains that are 2000m or higher everyday must remind you on a daily basis how small the individual is which must give you a unique attitude towards life. At least that's what I think. Having come from Zürich that day, I was still wearing a city look you could say. This playsuit was definitely my sale find of the season. I had been seeing this piece on different bloggers which made me on the one hand think that I don't want it if everyone has it but on the other hand I couldn't stop looking for it in stores and online. Finally I found it the other day hanging between random things - in my size and on sale. I was thrilled! Der Jumpsuit steht dir sehr gut und sehr schöne Bilder sind das geworden. Wie witzig - Schuhe und Tasche besitze ich auch :) Und nach diesem Jumpsuit habe ich so lange gesucht - leider vergeblich. Dir steht er wirklich klasse! Haha das ist ja echt witzig:) Schade, dass du ihn nicht gefunden hast. Ich hab echt Glück gehabt. This photoshoot is heavenly the castle make a beautiful backdrop against your striped playsuit.